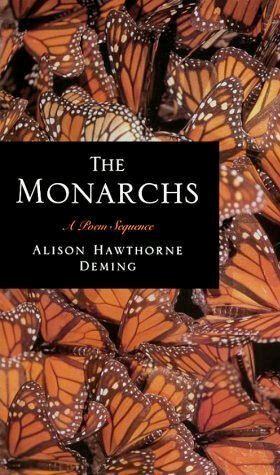 The Monarchs, a sixty-poem sequence, embodies both the strength and fragility of the natural world. Inspired by the migration of the monarch butterfly, this extraordinary work is an extended meditation on intelligence in nature—human and otherwise—and the often troubled relationship our species has with itself and others. In seven poems titled “Essays on Intelligence” Deming explicitly contrasts the knowledge of animals, inherent in their genes and neurons, to the complexity of the human nervous system and our fumbling attempts to understand. A sense of order seems to govern other lives in nature, but humans, having become aware of the tremendous wounds they have inflicted on themselves and other species, doubt any such pattern exists in their own lives. Deming seeks to create harmony out of increasing chaos. Deeply thought and felt, The Monarchs is an unusual and important work, bound to inspire wonder and awaken consciousness.